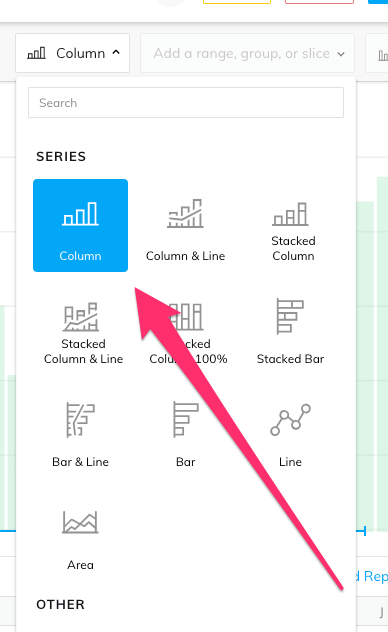 Column charts are pretty straightforward, but we’ll give you a few tips and tricks here on building and using them. Column Charts, though one of the most basic chart types, can be very useful. You can use column charts to track the change over time for a certain category or to compare different categories. For example, you could use a column chart in order to track total number of users over the last two years (or other time frame). Additionally, you could track how many leads you bring in from different sources with a column for each source. 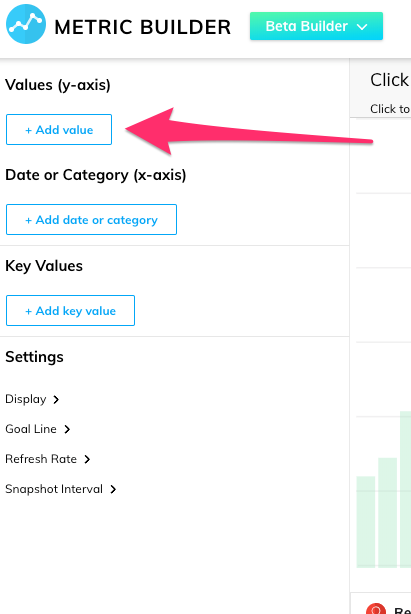 To build a column chart, first log in to your Grow account and click Add Metric. Choose your data source, connect your data, and press continue. In Edit Metric, click on the chart type menu at the top right to view the list of charts. Go ahead and select Column Chart. Next, you’ll need to select your data series. This will be the columns that are displayed on your metric. In the column to the left, click the blue Add Value button, then select the column header that you want to add to the table. If you want to format your column chart, you can do so after you’ve added the data. 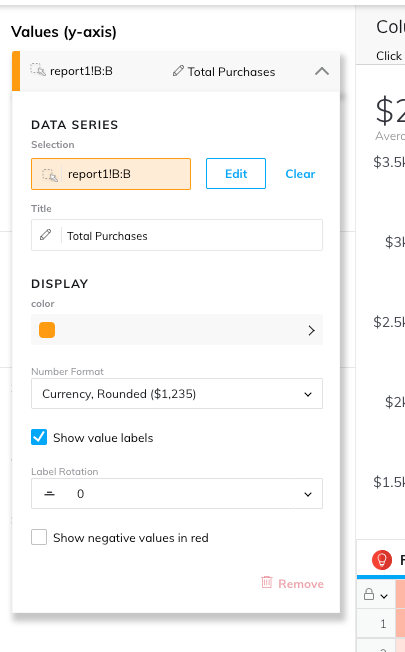 In the left-hand panel, you can expand the arrow next to your selected data. 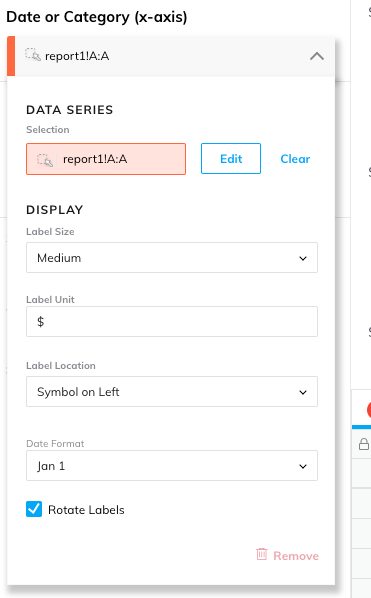 In this drop-down, you can format your numbers, change the color of your column, and rename your column data. To add labels to your column chart, expand the Date or Category (x-axis) heading in the left-hand panel. Then enter your label selections under Display. If you have a date column in your data, our Smart Builder will automatically select that column as the x-axis. You can do additional formatting on your chart labels, in addition to setting a key value and/or a goal line.